PHOENIX (February 25, 2018) – Three-time Pro Stock world champion Jason Line, driver of the blue Summit Racing Chevrolet Camaro, has goals. Reaching two consecutive final rounds at the first two races of NHRA’s 2018 Mello Yello Drag Racing Series is a pretty solid accomplishment in a class that is getting tougher and tighter each race, but for Line, it just isn’t enough. 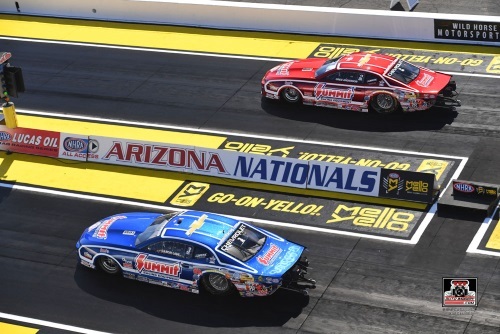 This weekend, Line raced to the final round at the 34th annual NHRA Arizona Nationals at Wild Horse Pass Motorsports Park, and he wanted nothing more than to put Team Summit in the winner’s circle in celebration of Summit Racing Equipment’s 50th anniversary. “We didn’t come out of here with what we wanted, but we still had a decent weekend,” said Line, who lost a close one to Chris McGaha in his fifth Phoenix final round and 96th final of his career. “We certainly learned some things, and going forward, that’s going to help us. We’ll be better in Gainesville, no question. I’ve said it before, but the next win will be my 50th, and this is Summit Racing’s 50th anniversary year. That will be really special, and I’m super motivated to make that happen. I’ve let two slip away already, but it’s a tough game. It’s not easy, but that’s what makes it special when you do win. When I finally get it, it’s going to feel good.” Line scored an easy win in the first round when Vincent Nobile was unable to keep the engine lit and could not make the run. Line’s 6.552-second pass at 210.08 mph was fairly impressive, but it wasn’t enough for lane choice over Team Summit counterpart Greg Anderson. The red Summit Racing Chevrolet Camaro piloted by four-time Pro Stock champ Anderson was tuned for victory, but it was still Line who got the nod at the top end. Anderson clocked a .042-second reaction time to Line’s .011, and that was the decider. Line advanced to the semis with a 6.548, 210.37 to Anderson’s quicker but not quite enough 6.541, 211.00. In the semifinals, KB Racing-powered Deric Kramer was fired up, but a .007-second red-light ended his final-round quest before it even began. Line recorded a low elapsed time of the round 6.552, 210.41 in his victory lap and geared up for the money round with McGaha. A 6.538, 210.14 was barely off Line’s quickest pass of the weekend, but McGaha’s 6.529, 211.58 shut him down. 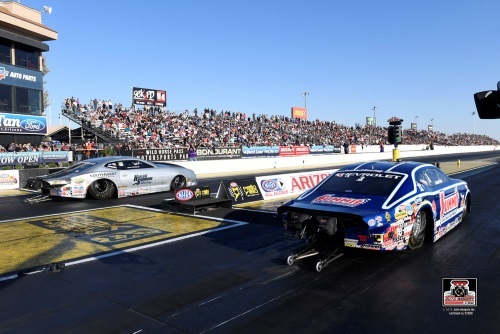 Even still, Line moved into the points lead and will head to the next race on the NHRA tour with his confidence intact – particularly when it comes to his quick and fast Summit Racing Chevrolet. “It’s better to be first than last, and I think there are a bunch of other folks who would be happy to drive that blue Summit Racing Chevy Camaro,” said Line. 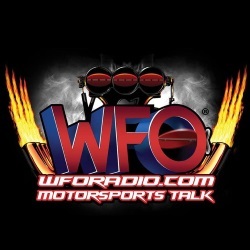 The team will have another chance to claim a title at the NHRA Gatornationals in Gainesville, Florida, March 15-18. The second race of the season saw Greg Anderson and the red Summit Racing Chevrolet Camaro exert a whole bunch of very promising power. In qualifying, Anderson was the fastest in terms of speed with three reliable 211 mph passes in his Summit Racing machine, and on Sunday he was again living in the 211-mph-zone. In the first round, Anderson clocked a speedy 6.552 at a large 211.46 to defeat Kenny Delco’s 6.622, 207.94. The reward was that fateful second-round meeting with Summit Racing teammate Line. 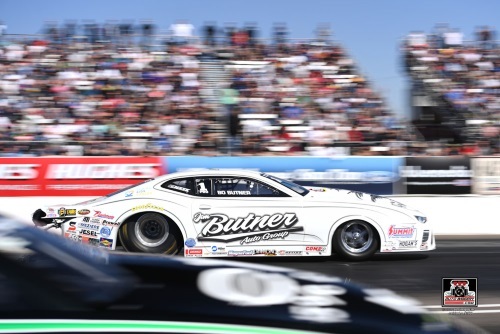 KB Racing-powered Bo Butner, the reigning 2018 Pro Stock world champion, won the last race of 2017 and the first race of 2018, but his win-streak came to an end in the first round on Sunday at Wild Horse Pass Motorsports Park. Butner, driving the Jim Butner Auto Chevrolet Camaro with bold Speed Dawg Shift Knobs branding across the rear deck, earned a start from the No. 6 position in Phoenix and came to the starting line with renewed vigor after a slow start in qualifying. Unfortunately, Jeg Coughlin was declared the winner in their first-round meeting as Butner recorded a .053-second reaction time to his opponent’s .012 that negated a 6.555-second pass at 211.03 mph. Coughlin was awarded the holeshot win on a 6.574, 209.49. Pro Stock driver Deric Kramer joined forces with KB Racing in the off-season as an engine leasing customer, and at the first race of 2018, he was already harnessing the power produced in the KB Racing shop in Mooresville, N.C. Two weeks ago in Pomona, Kramer raced to the semifinal round, and this weekend in Phoenix, the driver of the American Ethanol Chevrolet Camaro qualified in the No. 1 position for the first time in his career and raced again to the semifinals. Kramer leaves Phoenix No. 2 in the Pro Stock points. The top eight Pro Stock cars in the world go head-to-head for bragging rights in the K&N Horsepower Challenge, the longest-running specialty event in NHRA history. The 2018 K&N Horsepower Challenge will be held at the DENSO Spark Plugs NHRA Four-Wide Nationals at The Strip at Las Vegas Motor Speedway, April 6-8. 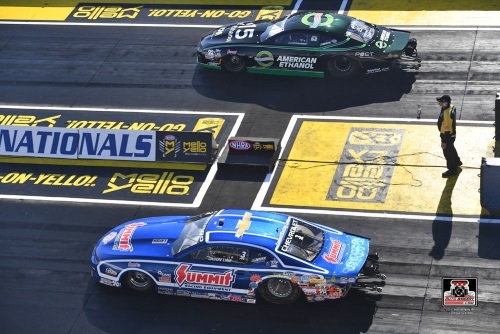 The lucrative K&N Horsepower challenge is a special race-within-a-race bonus event highlighting the top seven Pro Stock drivers who have accumulated the most qualifying points during NHRA Mello Yello Drag Racing Series events. An eighth driver is decided by fan vote on the K&N website. Drivers began earning points for the 2018 K&N Horsepower challenge at the 017 DENSO Spark Plugs NHRA Nationals in Las Vegas and continue through the 2018 NHRA Gatornationals, March 15-18. 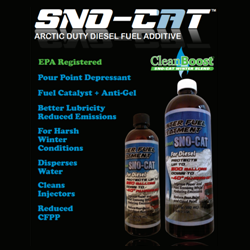 The winner of the K&N Horsepower Challenge earns $50,000, and the runner-up receives $10,000. 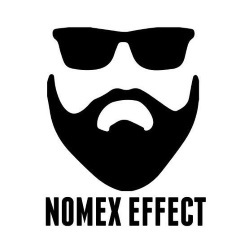 The two semifinalists take home $3,000 each, and the four first-round finishers earn $2,5000 each. In addition, the No. 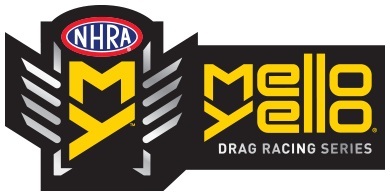 1 qualifier at each NHRA Mello Yello Drag Racing Series event is awarded a $3,000 bonus. In 2017, Summit Racing driver Greg Anderson raced to the final round and faced off with Shane Gray. Anderson claimed his sixth victory in the K&N Horsepower Challenge with a winning time of 6.684-second at 205.47 mph to better Gray’s 6.699, 206.26.